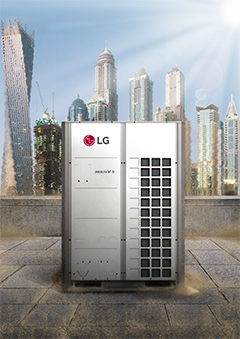 New arrival: LG MULTI V 5 Variable Refrigerant Flow solution « Tech bytes for tea? One of the most impressive features of LG’s MULTI V 5 is its Dual Sensing Control which helps the air conditioning unit evaluate climate conditions down to the smallest detail. Unlike conventional air conditioners which only track temperature, the MULTI V 5 measures both temperature and humidity levels for outdoor and indoor environments. LG MULTI V 5 is designed for conference and hospitality applications. This comprehensive understanding of multiple climate conditions helps the solution determine its parameters to achieve optimal energy efficiency and maximum indoor comfort levels. Efficient systems like Smart Load Control makes it possible to control outdoor unit discharge refrigerant temperature, increasing energy efficiency anywhere from 15 to 31 percent depending on humidity conditions. Typical VRFs normally fluctuate considerably in order to maintain a set indoor temperature, making them highly inefficient. The MULTI V 5’s Dual Sensing Control also has a Comfort Cooling function which maintains operation around the desired temperature, delivering maximum user comfort. Equipped with LG’s exclusive Ocean Black Fin, the MULTI V 5 is protected from corrosive substances such as salt, sand and other elements brought in by sea winds as well as industrial pollution. The black coating of the Ocean Black Fin heat exchanger keeps water from accumulating, which minimizes moisture buildup. This durability enhancement prolongs the product’s lifespan and lowers maintenance costs, paving the way for improved performance. 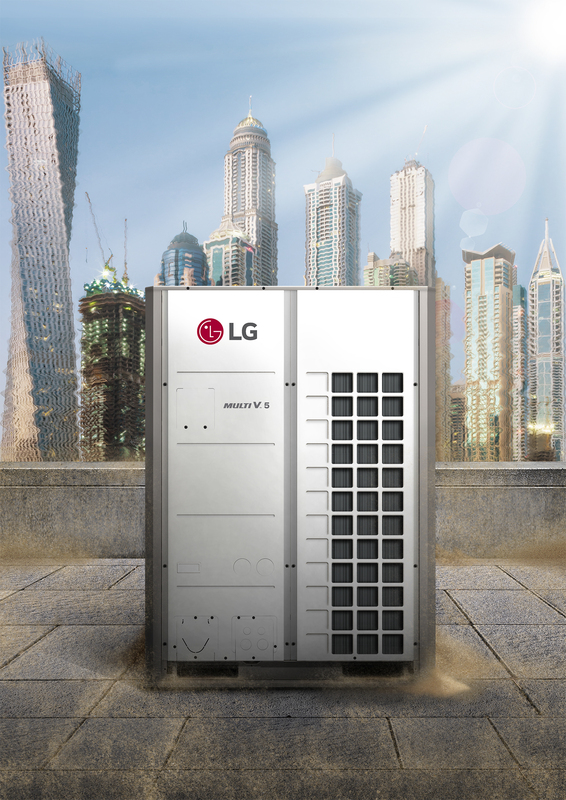 The LG MULTI V 5’s new Ultimate Inverter Compressor offers unrivaled efficiency, reliability, and durability. 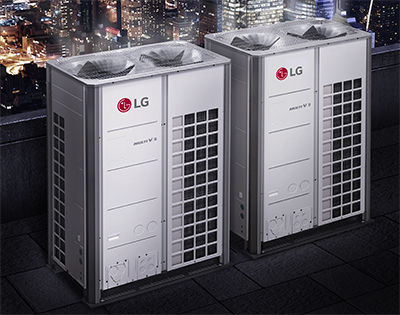 “We are extremely proud of the MULTI V 5, our new flagship system air conditioning solution. As our fifth generation VRF system, it implements a range of innovative technologies to offer customers unparalleled energy efficiency and comfort,” said Terry Kim, Product Director of Air Conditioning and Energy Solutions. Improving on the 15 to 150 Hz operational range of its predecessor, it operates from 10 Hz to 165 Hz. This widened range increases part load efficiency and enhances the MULTI V 5’s ability to quickly reach the desired temperature. The MULTI V 5 features an enhanced bearing system layered with PEEK (Polyetheretherketone) – an advanced material normally used in airplane engines – this efficient infrastructure allows the MULTI V 5 to operate for sustained periods without any oil. In addition, the MULTI V 5’s Smart Oil Management uses sensors to check the compressor’s oil balance in real time, minimizing unnecessary oil recovery operation. With an innovative biomimetic fan, 4-sided heat exchanger, and improved compressor performance, the MULTI V 5’s efficiency and capacity have each been enhanced, making it possible for a single ODU to reach 26 HP. Utilizing research from the Seoul National University’s Department of Mechanical and Aerospace Engineering, the engineers behind the MULTI V 5 drew on inspiration from humpback whale flippers when designing the fan. Moreover, the solution’s advanced biomimetic fan significantly increases wind capacity. The MULTI V 5’s large capacity outdoor units minimize the space, as well as lighten the total load needed for installation. “Making advanced climate control technology even more accessible, this industry-leading solution provides excellent operational savings and greater comfort to our customers across the globe,” Kim added. It boasts a 23% reduction in space area and 15% reduction in weight compared to its predecessor. With its improved supercooling circuit and refrigerant controlling technologies, the MULTI V 5 also offers the world’s best class piping lengths for flexible unit installation. Combined with its improved ODU capacity and compressor efficiency, the MULTI V 5 provides ultimate flexibility for installing its key components within most layouts. This entry was posted on Wednesday, February 14th, 2018 at 10:00 am and is filed under Air Conditioners, Announce, Appliances, Gadgets, gadgets, Healthcare, LG, newArrivals, Press Release, Specifications. You can follow any responses to this entry through the RSS 2.0 feed. You can leave a response, or trackback from your own site.